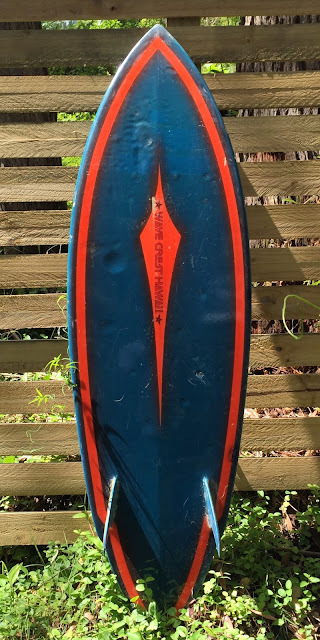 : Board Collector: Wave Crest Hawaii #4. 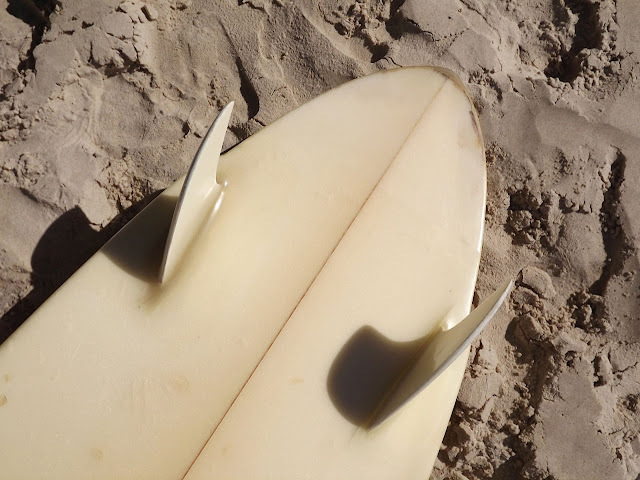 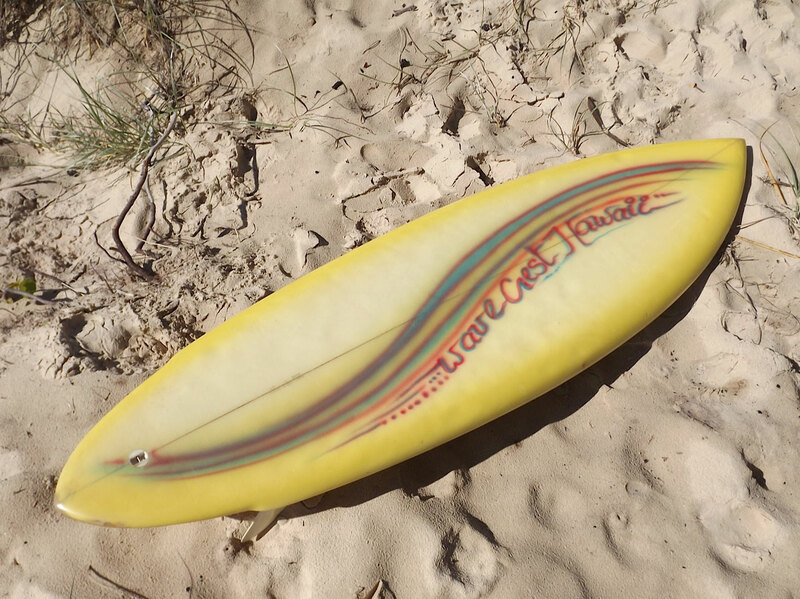 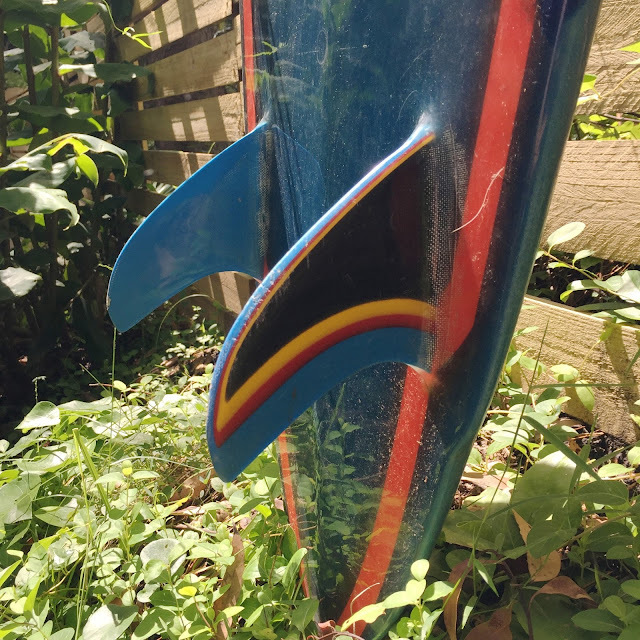 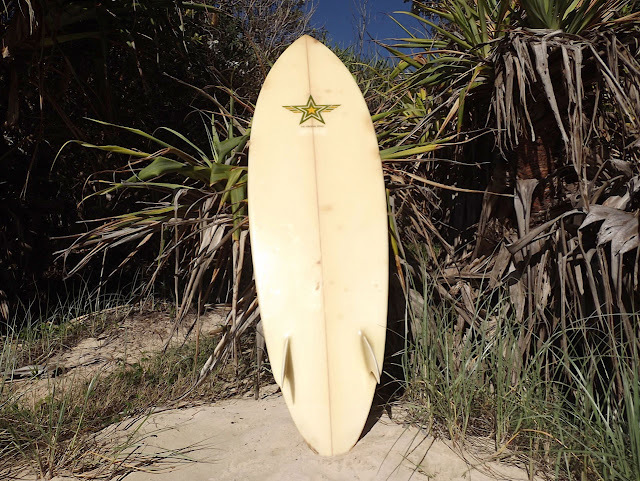 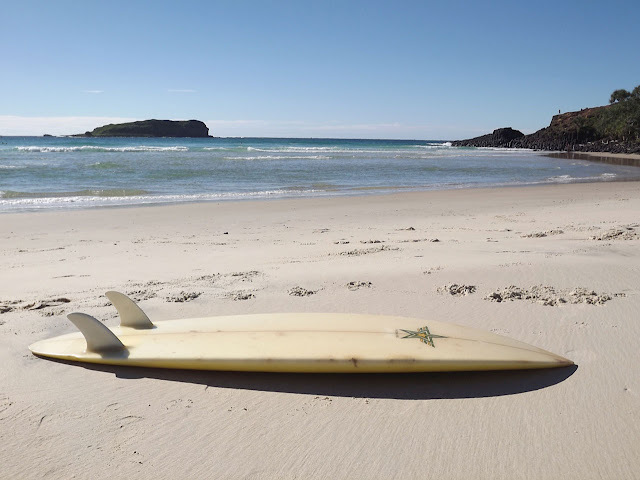 I'm pleased to be able to share with you my 5'8" rounded pin tail Australia made twin fin. 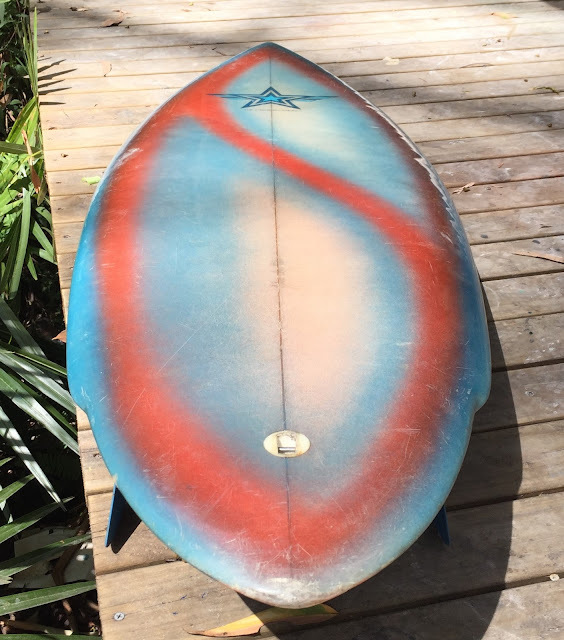 Wave Crest Hawaii was George Downing's shop and label in Honolulu in the mid 70s before it became just Downing Hawaii. 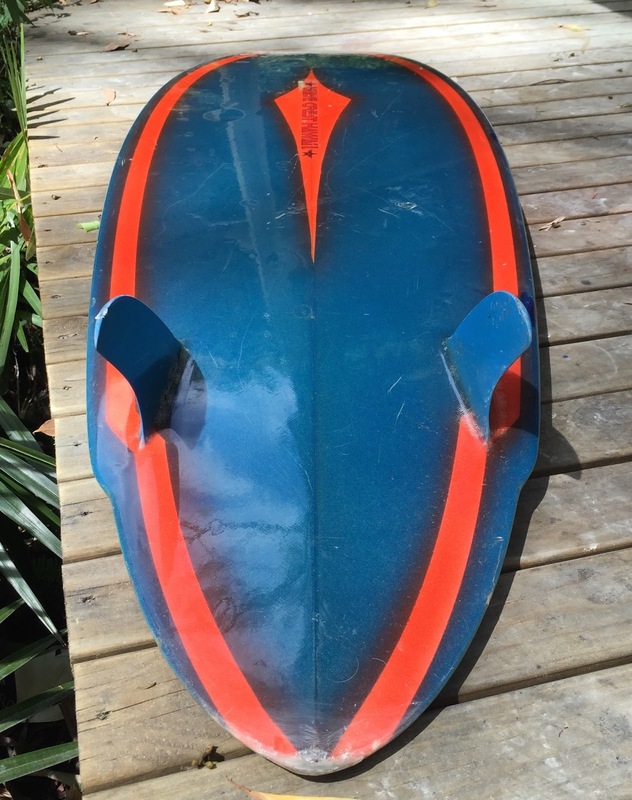 Wave Crest Hawaii was made under licence in Brookvale. The highlight of the board is its unusual deep blue geometric spray. My favourite feature is the brightly coloured laminate fins. The board is remarkably similar to a board sold by Von Weirdo early last year.